What’s Fueling Our Hot Housing Market? In this inaugural (our very first!) episode, we discuss the current state of Vancouver’s real estate market and recap on the busiest year yet, 2015! We also explain the goal of the podcast: to be your premiere source for buying, selling and investing in Vancouver’s Real Estate Market through compelling interviews with industry specialists and on-the-ground insight into what makes our market tick! How busy is the market? Why is Matt’s finger shaped like the letter Z? What are the main factors shaping our market… and Matt’s finger!? Can I get a syllabus for the Vancouver Real Estate Podcast? Yes, you can. *IF YOU LIKE OUR PODCAST, PLEASE RATE US ON ITUNES! Please also follow us on iTunes or Google Play and sign up for our mailing list – we promise not to spam you but keep you updated with relevant, insider information! Don’t take Matt’s finger for how busy this market is! 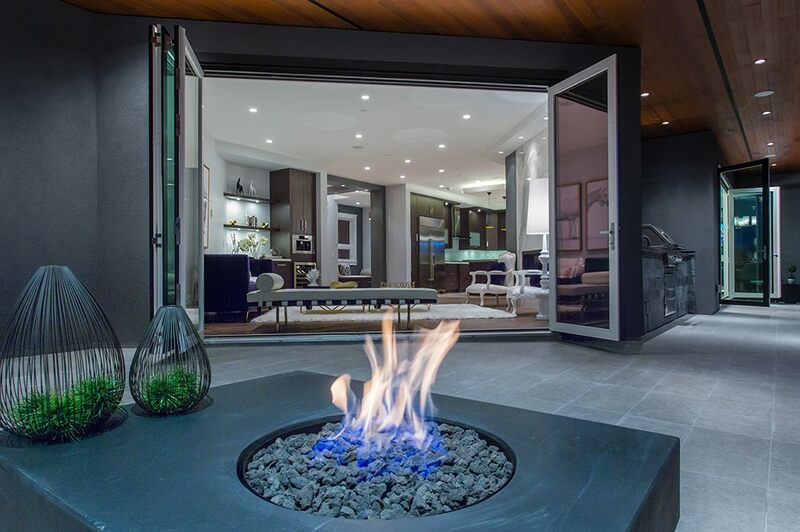 And we leave you with an incredible view from the perfect seat beside the fire… Hello Custom Dream Doors! Intro: Get ready for Vancouver’s premier real estate podcast, your source for buying, selling and investing in Vancouver’s Real Estate Market. With your hosts, two guys with guys with faces for radio… Adam and Matt Scalena. Anyways, I’m not sure that is the introduction that we were looking for but we will keep working on it. the inaugural edition right now. but before we get to 2015 why don’t we outline who we are and what the goals are here at the podcast. Absolutely. Basically we are both Realtors in Vancouver. Downtown surrounding area, basically Vancouver proper. Vancouver proper. And we do detached and we do attached so basically condos and townhomes. I realized I just said attached. It’s hard to say detached without saying attached, or it is after half a beer. Anyways basically we work the Vancouver market exclusively and the reason we started this podcast because we both love podcast and we noticed that there was a real gap in podcast that focus on not only on Vancouver but focus on Vancouver Real Estate. that is what everyone is talking about all the time. Absolutely you’ve got Hockey, you’ve got the weather and Vancouver Real Estate. At least my group of friends. yeah the goal is to provide an analysis of the market on an ongoing basis and we are also going to have interviews with people from anything from property managers to mortgage brokers to inspectors to area specialists, I mean we’re going to be the one stop shop for all things Vancouver Real Estate. you want to know how busy this market was. well quick story to illustrate how busy we were running off our feet here. I have a daughter, a 4 year old daughter, I was playing with her in November and I smashed my finger into our coffee table. what should I do and you said I should go get an extra that look like a broken finger and I had a tour, I think I had a listing presentation and I put it off, I thought wait till December, supper slow December right? That’s generally the way the market tends to be working, but this year it didn’t slow down at all, running, running it was always tomorrow, always tomorrow. Anyway, 3 days ago I went to St. Paul’s hospital to get an x-ray and he called it a nasty fracture. 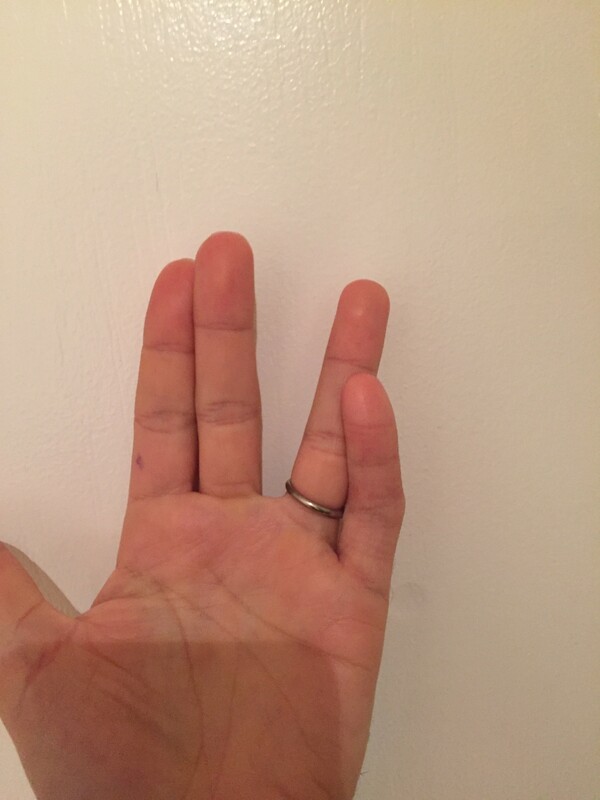 No we are talking about two months basically long enough so that the finger has healed in a wildly crooked position and it’s too long, they can’t break it so it is what it is. I’m just looking across the table, your pinky looks like the letter z. So that’s how busy the market is; but keep in mind we never too busy for your referrals. So what do you think is driving it, why was 2015 such a busy market in your opinion? There is a few things, I mean first just don’t take my finger for it, I will give you some statistics, west side condo market that includes downtown in the last year is up 18.1%, so nearly 20%. So where is the boundaries for the west side condo market that goes to as Far East as Quebec? all the way up to UBC as well. East Bend which is slower, been slower a little bit slower traditionally is up as much almost to 16% I think its 15.6 %. And that’s for condos and for townhouses? No that’s just for condos. So that market has just shot up and a lot of the growth both west side and the east side has been in the last 6 months so we ‘ve been scrambling. And that’s unbelievable because typically we’re usually a condo market that we see about 2 to 4% increase per year, it’s pretty marginal. Maybe you can speak to this, just for folks who are watching from afar, what does that look like on the ground when it’s that busy? How hard is it to buy? Well that’s the thing, what we’re seeing right now is buyers are experiencing a lot of multiple offers and it is very frustrating for buyers. Fantastic for sellers. What we’re seeing at least in the condo market is really really high sales ratio. So you are looking at a situation where 7 to 8 homes out of 10 are selling in a given month, an example would be 100 homes come on the market, 80 of them sells. That is really an extreme sellers’ market. To give you a sense of what it will actually take for it to be a buyers’ market, it would have to be less than about 17%. So less than 2 out of 10 homes. What about the detached market? I was going to say, you know what’s crazier than those stats I just gave you. These are a little less surprising but still shows a very strong detached home market. East Vancouver is leading the chart with over 26% increase in capital appreciation so we are looking at massive jumps and the west side is basically just behind with…..
Just had to get my stats. It’s exactly 24, look at this guy. Ok so what is driving the market? We understand that it is very busy, so let’s just try and give some context here. Well I will give you a couple of things that are really driving the market. One is of course cheap money, low interest rate, I think later this week we have bank accountant coming out. Absolutely there is supposed to be an announcement this week talking about the interest rate, it could go up, it could go down, a lot of people are thinking it’s going to go down. Regardless, potentially going down it’s a great time to take on a five year fixed mortgage and a lot of people, a lot of first time home buyers, a lot of investors are seeing that and they’re taking the advantage. The other thing that is really helping this market is, low vacancy rate. That does two things, first time home buyers or renters that aren’t first time home buyers are seeing rents jump, increase very quickly. So what’s the vacancy rate? It’s well under 1% or so I don’t have the numbers in front of me. It’s probably 0.5% maybe, it’s nearly impossible to find a place. So what we’re seeing are people buying because they are frustrated and they look at the rents and it just doesn’t make sense anymore. So conversely when you have investors looking at rents shooting up, easily down town you’re getting well over 3 dollars per sq. foot now for rent. So the numbers are starting to make sense. So that translates to a one bedroom being about 1700 to 1800 dollars per month. Six hundred square feet is 1800 but I would say, we’re not properties managers but I would say you are getting 1800 easy. And a two bedroom probably close to 2400 to 2600. Yeah that’s what we are seeing. So I mean when you are an investor and you have access to cheap money and you’re seeing a city where there is a big appreciation going on, not to mention you get a little bit rental return. It’s a no brainer right? So something should carry itself with 20% down probably. Yeah I would think so, yeah depending on the investment but yeah. So we got a low vacancy rate, we got cheap money. The other thing that is really driving this market forward and we can see it, I mean it started last January and the last year has went bananas, the US dollar. ….being as strong as it is. Not only, we always hear about mainland China but in the last week I’ve spoken to maybe 3 or 4 Americans that are looking at Canada, looking at Vancouver like lunch. Looking obviously to invest here but also looking to potentially have a retirement home here. Yeah, and they’re looking right now because it’s a 30% discount and it makes huge sense; and the prices, a one bedroom apartment for 450,000 dollars seems ludicrous to a lot of people. When you take 30% off and you are coming up from Seattle…. Absolutely. So we’ve a lot of people that are interested in the market in the US, all over the world, countries like Iran, Russia, obviously mainland china, obviously Hong Kong is still very active. And for the broader context globally, and this isn’t just the last year, but this really helps the Vancouver market. is this idea the hedge city that Vancouver is in a handful of superstar cities around the world in which the global elites, wealthy individuals from all over the world see it as a great place to invest. So let’s talk about some examples of global super cities and what their characteristics are. Sure, so London, they’re the ones everybody would get right? London, Paris, New York, Sydney, Hong Kong, and Vancouver. These are the cities that people from around the world with significant incomes congregate in, and they congregate in these cities, they are attracted to this cities for different reasons. Obviously New York is a financial center globally, culturally as well. Paris, France cultural center. Vancouver…..
Vancouver, let me guess here. So Vancouver has been pegged as the no fun city. And I remember I heard that a few years ago, and that tends to be what a lot of people say about our city, it’s beautiful, it’s a stable place, it’s green and progressive but it’s not a lot of fun. So what’s the characteristics that the international investors like about our city? You know what they love about Vancouver? They love that it’s socially and politically stable. Okay, excellent. We’ve talked about low vacancy, cheap money, the US dollar going down and the hedge city. Right, this larger sort of last 10 ,15, 20 years idea of the hedge city right. Okay, so the hedge city it picks up this characteristic and so people are investing in it because it’s stable and they’re coming from political environments that maybe don’t have the stability that a country like Canada has. That’s exactly right, and that’s why in the last couple months when you see all sorts of news, and I am not pretending to be an expert on what is going on in china but all sorts of news coming about the stock market closing after 7 minutes etc., people are saying hey that’s going to dry up Vancouver’s market, there’s not going to be people coming from china, the flip side to that is, instability in china actually leads to money leaving china and there’s places that money has to be parked, you know what? A house in Vancouver does a few things that a Swiss bank account doesn’t do, you can show it off to your friends, you can visit it for a couple of months of the year, you can also have your significant other and children attend great public schools or private schools here in Vancouver and have a great University system. So it’s a physical asset that provides a lifestyle essentially. The way you’re saying it. That’s exactly right. And hey It doesn’t hurt that the climates are pretty nice and there’s some nice mountains and oceans to look at and the rest. Absolutely. Well, I think that’s a good starting point for the podcast, episode number 1. Next week we going to be having an interview, we‘re really excited about it. We’re not going to spoil it right now are we? Why don’t we just say we are going to be having a lot of interviews with industry specialists and just basically doing recapping on various topics and just trying to get a better sense of what’s going on our market and we are really excited to have you with us a to be a part of it. We’re really excited that you are hopefully coming along with us on this journey and if you want more information check our website out at scalenarealestate.com. Yep, and also do us a favor if you like this podcast, go and rate us on iTunes and also let your friends know about it, and we are going to have more resources at our site, and our number and our email addresses will be in the show notes. Yep absolutely. Have a great week and we will talk soon. Outro: This has been the Vancouver Real Estate Podcast with Adam and Matt Scalena. Contact us anytime at 7788664574 or 7788472854 or online at www.scalenarealestate.com. Subscribe today.